You might not immediately associate fresh cherries with burgers, but it can’t be a coincidence that Michigan cherry season comes right in the middle of summer, just when grilling season is at its peak. It’s an opportunity too tempting to resist! In this recipe, fresh cherries are paired with a classic flame-grilled burger in not just one, but two very different ways. But before we start cooking, let’s make something perfectly clear; it’s essential that you use the best quality cherries you can find (preferably Michigan cherries). Why not use cheap, grocery store cherries? It’s simple – they just don’t taste as good as fresh-picked, tree-ripened cherries. Now that we have that out of the way, let the cooking begin! 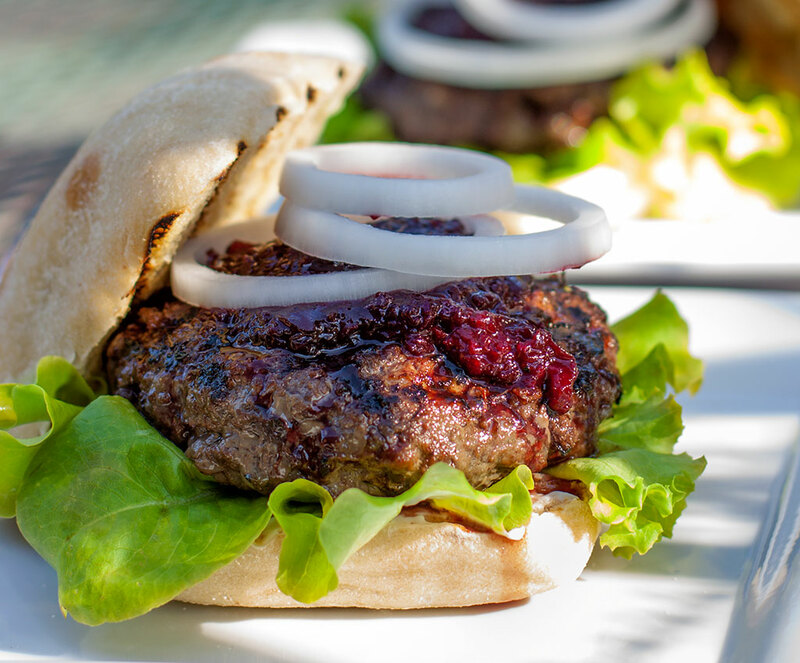 We prefer ultra-lean bison when grilling, and while bison is both tasty and healthy, that low fat content can result in a tough, dry burger. The solution? 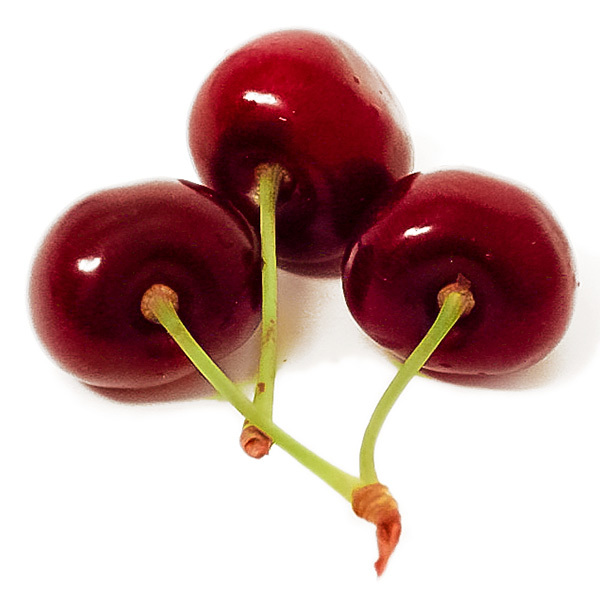 Add both moistness and a burst of tangy flavor by mixing in a generous amount of chopped fresh cherries! And for the ultimate burger-topping condiment, cherry catsup! In the US, catsup (or ketchup, if you prefer), has come to mean a thick, tangy tomato-based condiment that is used on just about everything from steaks to fries. But it turns out that America’s favorite sauce originally started out in Asia as a thin, salty sauce of fermented fish – nothing like the red stuff we know so well today. This pungent Asian sauce was adopted by 18th century British seafarers, and to make a long story short, over the course of a few decades and through a series of culinary twists & turns, it evolved into something more suited to domestic tastes by the use of familiar ingredients, including nuts, mushrooms and, yes, finally tomatoes. Why stop there? The bright, fruity flavor of sun-ripened cherries makes a splendid base for a spicy-tangy catsup that puts the ho-hum tomato-based stuff in the deep shade. 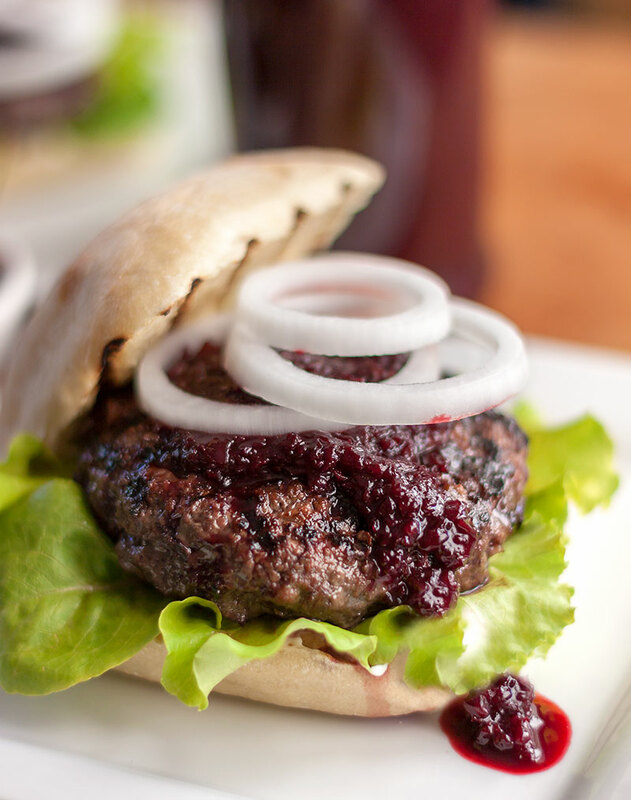 While it’s eminently suited as a topping for a cherry-bison burger, cherry catsup might just become your favorite condiment on, well, just about anything and everything! Mix all of the ingredients in a bowl. Don’t overwork it. Divide the cherry-bison mixture in half and form into 2 patties. 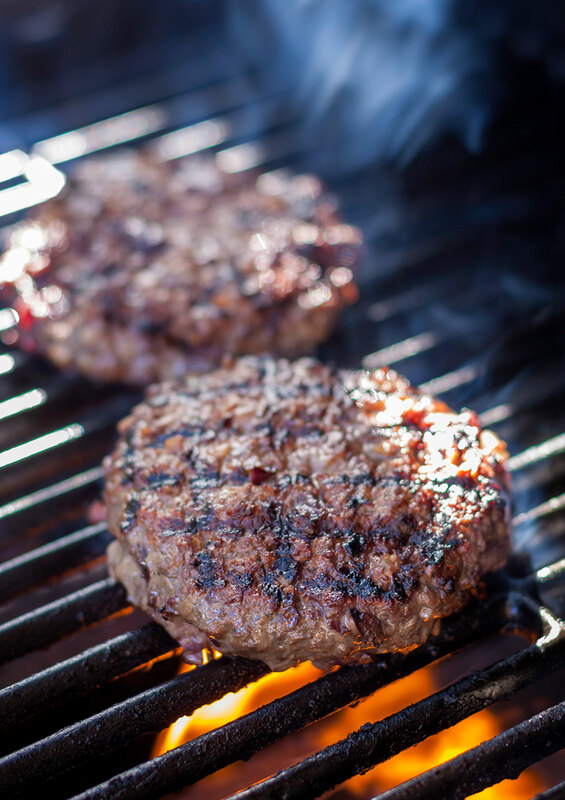 Make a small indentation in the center to prevent burgers from puffing up. Oil the grill to season it and prevent sticking. Brush the buns or split ciabatta rolls with olive oil and toast on the grill for a minute or two. Grill the patties for 4-5 minutes on each side, or to taste. Place the grilled burgers on toasted buns or ciabatta with lettuce, onions & mayonnaise (or other garnishes of your choice). Top with a generous spoonful or two of Cherry Catsup and serve while piping hot. Process the cherries in a food processor, pulsing to form a thick pulp. Transfer to a medium non-reactive saucepan. Add all the rest of the ingredients and place over medium heat, stirring until it just starts to come to a boil. Reduce the heat and simmer briskly for about 30-45 minutes, or until it becomes quite thick, stirring now and then to prevent sticking. Cherry Catsup may be stored in a tightly sealed container in the refrigerator for up to a month. Use this versatile condiment just as you would regular tomato catsup. Wonderful on pork, chicken, duck or as a dip.